All three for 99 cents--two days only! 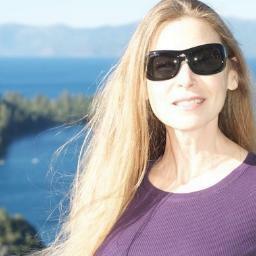 writes suspense novels with strong elements of romance. Alonna Shaw: Thanks to "NightWriter" Carol Davis Luce for stopping by. Many writers struggle with their genre and defining their brand. How did you come up with your "Night" book brand? Carol Davis Luce: Traditional publisher, Kensington, titled my debut novel, Night Stalker. I gave my third novel the working title of Naked Prey, but the publisher changed it to Night Prey. Two out of my three books had the same word in the title. That word stuck. I recently changed the title of my second novel from Skin Deep to Night Hunter. All my suspense novels are, and will be, "Night" novels. Q: Do you think branding helped you to understand yourself as a writer? CDL: Yes. Although my six Night novels are "stand-alone" and not "series" novels, branding defines me as a suspense writer. Just as author John Sandford's consistent title of "Prey" novels, sets him up as the "PreyWriter." Q: Since you have a history as a teacher with Writer's Digest, is there a 1-2-3 exercise you might recommend to writers searching for their own sweet-spot in their branding identity? Pick a genre and stick with it. Establish a degree of recognition in that category. Continue to hone your craft. Make each book better than the previous book. Accept that it doesn't get easier with each book, not if you strive to excel. Q: You seemed to take a break from the Night books in the late 90s, then released Night Widow in the fall of 2011. Were you stock piling novels during that time or did you need a break? CDL: A little of both. I took a break from the "Night" novels to write a coming-of-age story. When I returned to writing suspense, I seemed to have lost my momentum. Time passed me by. I took that time to teach advanced writing workshops at Writer's Digest. Self-publishing my backlist novels on Amazon helped to kick-start my writing career once again. would be more popular the second time around?" Q: You have some twisted characters in your stories. Do you have a favorite villain? CDL: Of my many villains, my personal favorite has supernatural strength to the point of being almost indestructible. A huge, brute of man with a medical condition known as CIPA, congenital insensitivity to pain (and temperature). Combine his size and condition and you have a very scary bad guy who doesn’t play fair. Q: When and why did you decide suspense was your future? CDL: After the very first book. In the suspense genre the villain is upfront and menacing from the get-go. I love making up sinister villains--they've been tagged by reviewers as evil incarnate. I love plotting in the suspense genre. I strive for unpredictable and twisted plots. Q: Why did you decide to release a collection/boxed-set now? CDL: I'm noticing (from reviews) a steady increase in return readers. Boxed sets are becoming very popular, combining my novels just made sense. Q: Your fall 2012 release, Awakenings: Secrets of a Brown Eyed Girl, deviated from suspense to women's coming-of-age fiction, do you feel your suspense background contributed to how that story evolved? CDL: Absolutely. In this story of a girl growing up in Southern California during the 50s, there are twists, turns, perverts, predators, and a strong element of mystery/suspense, also a surprising stalker. Q: When can we look forward to a new "Night" book? And any hints about who is going to be in jeopardy this time? CDL: If all goes well, I hope to release my seventh "Night" novel sometime this summer. Who will be in jeopardy? A woman. It's always a woman. After all, my first novel, Night Stalker, was the flagship for the sub-genre "Women In Jeopardy" at Kensington Publishers. 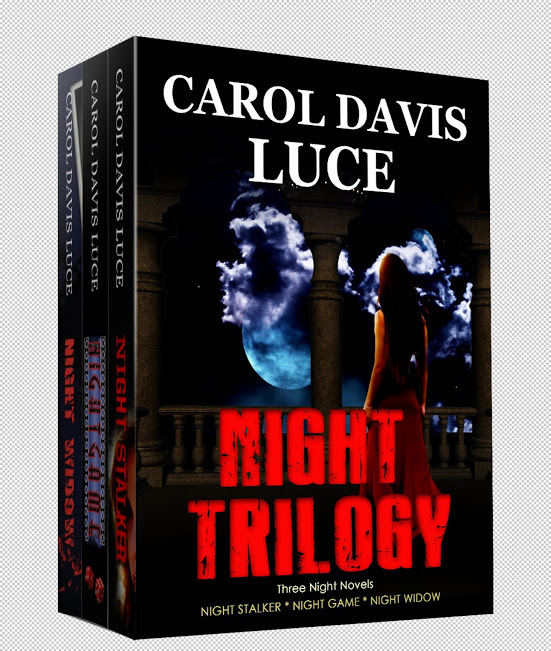 Carol Davis Luce's Night Trilogy boxed set is on sale for two days only! Hometown press brings back memories.